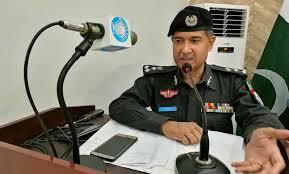 KARACHI: Islamabad Inspector General of Police (IGP) Sultan Azam Temuri asked the administrators of educational institutions on Friday to launch awareness sessions with parents of children to ensure their security and said that the Islamabad Police would cooperate in this regard. The IGP stated this while presiding over a meeting at the central police office here on. Among others, the meeting was attended by Private Educational Institution Regulatory Authority chairman, chief executive officers and administrators of private schools and colleges. Azam Temuri said that Islamabad police had constituted a Human Rights and Child Protection Committee in this regard, and women police stations would also be upgraded. He said volunteer programmes will be started outside educational institutions in Islamabad for awareness about traffic discipline and security. He said crackdown against drug peddling activities has been initiated at the educational institutions and awareness campaign would be also launched to remain safe from this menace. The IGP further said that the administrators should also monitor their staff to check such activities and to inform police in case of observing any suspicious activity. All the participants assured their full cooperation and urged the police to try to improve the situation.